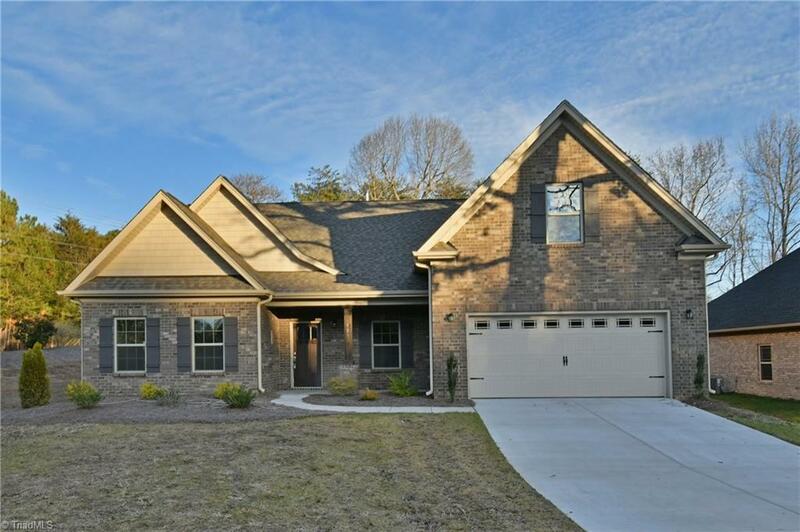 117 Shady Brook Lane, Lewisville, NC.| MLS# 861488 | North Carolina Farm and Vineyard Specialist Patria Properties Inc. Spacious one level home on large lot in prime Lewisville location! RS Parker's most desired Reagan plan offers an expansive kitchen/dining area that opens into the great room and overlooks a private covered porch! 2 main level bedrooms plus separate office, 3rd full bathroom upstairs with en suite bath. Desirable design options including master. Est completion 5/2018. Potential closing cost assistance with preferred lender.